Start from the inside out, the filtration area ensures your water remains sparkly clean. Wipe down the interior and exterior to rid of any debris, then check on your filters. Replacing filters is great way to kickoff spa season. Another great way to begin spa season is by draining and refilling your spa if needed. Draining will depend on how well regular weekly/bi-weekly chemical balancing and sanitation is conducted on your spa. The rule of thumb is draining your spa two to three times a year. If you happen to drain your tub, take advantage and give the acrylic and old fashion wipe. With a soft cloth, wipe down your spa to give it an extra shiny finish that will make all the difference when your spa is filled. Work your way to the outside, clean off your hot tub’s cabinet panels to make it look new. Avoid using harsh chemicals on the wood to avoid the paint from deteriorating, the weather-proof cabinet does well with warm water and a wash cloth. Lastly, wipe off your spa cover to make your spa look new even when not in use! If you spa cover is worn, it would be taking a toll on the lifespan of your spa too. Visit Quick Spa Parts for a new, diligent spa cover to increase the cleanliness of your spa! For over 37 years Cal Spas has provided the highest of quality hot tubs in the industry. 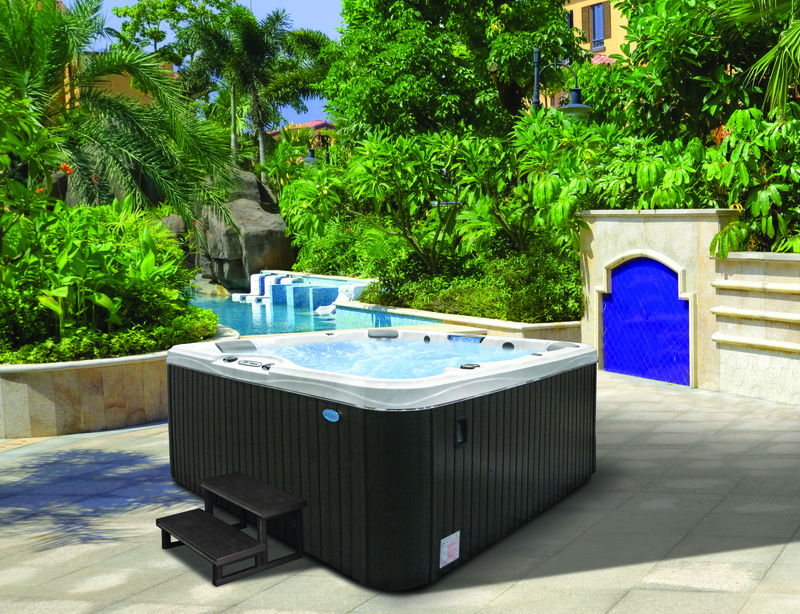 Today, Cal Spas offers a wide range of portable hot tubs, swim spas, luxury spas, and in-grounds to ensure a relaxing Home Resort experience for any budget.